Like you, most women have stretch marks. And like you, most of them probably don’t know everything there is to know about stretch marks, why they occur,and whether it’s possible to get rid of them or prevent them altogether. There are many old wives’ tales about stretch marks – and how to prevent them. Truth is, there’s no way to avoid them entirely. But you can make the marks you have less visible. To obtain the best outcome, we suggest that you treat them early. Even with regularly use of lotions and creams, there’s no way to get rid of them completely. However, keeping your weight in the healthy range by eating well and exercising regularly can help to prevent stretch marks caused by sudden weight gain or loss. I’m skinny so no stretch marks for me. Sure, if you’re skinny, you have already avoided being overweight, which is another cause of stretch marks. But according to Dr Aw, it is not true that only overweight people have stretch marks. “About half of the obese people develop stretch marks. Other causes of skin stretching, such as pregnancy, body-building, or if the skin itself is weak in nutrients, it takes very little for it to stretch and start forming marks,” says Dr Aw. Only women get stretch marks. This is the biggest myths that men tend to believe, until they actually get them. Generally, men produce less collagen, the key hormone that heals your skin, which means it just takes a bit longer to heal any damage. Men should also start to prevent stretch marks as soon as possible. In fact any method that works for women can also work for men. So, don’t be shy to apply creams or lotions, because leave them alone and chances are they will barely improve on their own. C-sections can cause stretch marks. C-sections cause surgical marks, not stretch marks. That said, in the long run, a surgical C-section scar can look similar to a stretch mark – white, silvery and flat. Stretch marks only occur on the tummy. You can have stretch marks just about anywhere. They can also occur on the loins, thighs, and calves. In fact, the most common area is the buttocks! Fine, I’ll lose weight and all my stretch marks will disappear. “Unfortunately, stretch marks are permanent. But losing weight can help to make the marks less obvious,” advises Dr Aw. The only way to treat them is through laser cosmetic surgery. All creams are just gimmick and not worth my money. There are many treatment options available. However, there is no particular treatment that proves to be the best. “Creams containing Centella asciatica, glycol acid, retinoid (a Vitamin A derivative), silicone, professional chemical peels that use strong acids, as well as certain lasers and light, may be useful to reduce the appearance of stretch marks,” advises Dr Aw. I’m not bothered by the stretch marks, so it doesn’t matter to me. Stretch marks are permanent but they can worsen with continued mechanical stretching. Stretch marks are also a cosmetic concern for many people, particularly women. 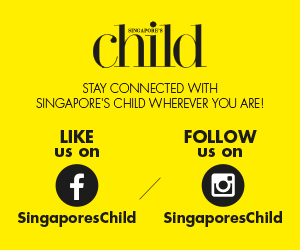 This article was first published in the September 2016 issue of the Singapore’s Child.